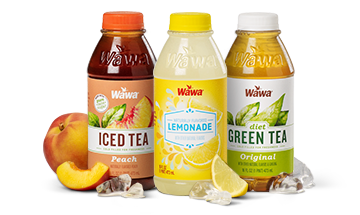 From Lemonade Tea to Tropical Fruit Punch, Wawa has a large selection of bottled teas and fruit drink varieties to satisfy your thirst. 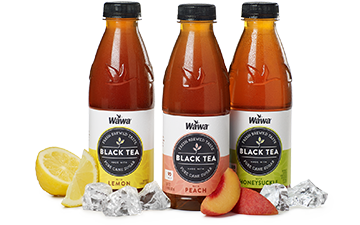 Enjoy the fresh brewed taste of our Black Teas, made with pure cane sugar and available in delightful varieties. 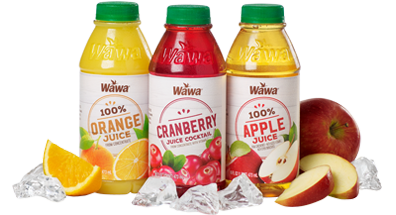 Wawa Juices are available in a variety of delicious flavors to complement your meal any time of day. Looking for a cool way to perk up? 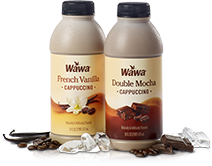 Try a Chilled Cappuccino in bold, delicious varieties.